ASTA JAHTING d.o.o. (in further text: AJ) based on General Conditions, as well as on Brokerage Contract for accommodation services, provides a user with a multi-day accommodation service aboard vessels adapted for transportation of persons on a cruise trip, and guarantees technical compliance and good condition of all its vessels. The person who has confirmed reservation for one or more vessels, or has paid the deposit (in further text: Service User) establishes a legal relationship with AJ and confirms acceptance of these General Conditions. Everything stated in these General Conditions is legally binding both for AJ and the Service User. All eventual disputes between the Service User and AJ are to be settled based on these Conditions. The prices of accommodation service are stated in euros (EUR), in the current AJ price list. The service will be billed using middle exchange rate of the Croatian National Bank (HNB) on the day of the payment, with a 13% VAT included. AJ price list is subject to change without prior notice. Stated prices include: accommodation on technically flawless and clean vessels with full fuel tanks, use of all vessel equipment, compulsory and comprehensive (Casco) vessel insurance, crew accident insurance, home marina berth, license for sailing in Croatia, vessel concession permit. The price does not include port dues and other dues charged in other marinas, as well as fuel expenses and the cost of other necessities, car parking, and crew health insurance. The users of accommodation service including overall vessel equipment can use the vessels only after they have made the payment according to the terms of payment. (50% of the price is to be paid at vessel reservation and the remainder at least 4 weeks prior to the beginning of the accommodation service.) Reservations made during the 4-week period prior to the beginning of accommodation service must be paid in full. By making the advance payment, Service User confirms that he is fully informed about all characteristics and terms under which the accommodation service on a certain vessel is provided. By making the advance payment, everything stated in these Conditions becomes legally binding both for the Service User and for AJ. If the Service User, for whatever reason, wants to cancel the accommodation services aboard a vessel, he must submit his request in written form (by e-mail, fax or by regular mail). - cancellation between 29th day and the day of the beginning of accommodation service – charges 100% of the accommodation service price. Service User who has cancelled the accommodation service may, after previously consulting with AJ, find another person who will assume his rights and obligations. If he doesn't find a replacement, the cancellation fee will be charged as stated above. If the accommodation service is cancelled due to objective reasons (death of a close family member, an accident involving heavy injury, a sudden acute condition requiring immediate medical care, pregnancy complications, military exercise etc. ), the paid amount will not be refunded. Instead, the Service User is allowed to use the paid amount for another time period of the current or the next year. It is Service User's obligation to provide an authentic document (proof). In case of force majeure (war, unrest, strikes, terrorist acts, sanitary problems, natural disasters, official authority interventions etc. ), AJ shall not be liable for any modifications and not carrying out the rented services in whole or in part. In any case, the purchase of trip cancellation insurance is recommended, which would cover accommodation service cancellation. AJ will hand over only completely equipped and technically flawless vessels with full fuel and water tanks and expects the vessels to be returned in the same condition. The vessel handover takes place on Saturdays from 5 PM to 9 PM (from 17:00 to 21:00). If the Service User fails to take over the vessel within 48 hours of the predetermined handover time, without any previous notice, AJ is entitled to unilaterally terminate the contract for provision of accommodation services, and the Service User shall not be entitled to any subsequent indemnity claims. If, for whatever reason, AJ is not able to put the booked vessel at disposal at the appointed place and time, it can provide another vessel, having at least the same characteristics. If AJ is unable to provide alternative vessel within 24 hours, Service User has a right to cancel the use of the vessel and have the paid service reimbursed. In case the Service User should choose to wait for the replacement vessel beyond the deadline agreed for the vessel handover (24 hours), he shall be entitled to claim an amount in the equivalent of the accommodation service value for the number of days he has not had the vessel at his disposal. AJ shall not be held liable for the amount exceeding the arranged accommodation service price, as well as for any other Service User's claim to indemnity. When taking over the vessel, the Service User is obliged to examine and carefully check the general condition of the vessel and its equipment according to the inventory list and immediately identify the deficiencies; otherwise it will be considered that there is no objection to it. Possible hidden deficiencies of the vessel and/or its equipment, which could not have been known to AJ at the time of the handover of the vessel, as well as the deficiencies possibly arising after the handover, shall not entitle the Service User to claim any reduction of the accommodation price. If the vessel equipment and inventory do not match the inventory list provided to the Service User, he shall not be entitled to claim any reduction of the accommodation price – provided that the safety of navigation is unaffected. Service User is not entitled to refuse check-in, suspend navigation and seek financial reimbursement in case of any defects, instrument deviations and similar equipment and inventory problems, provided that proper navigation is possible through classical methods, and the safety of vessel and crew guarantees a good sail. Every complaint based on comparison of the vessel and its inventory with other charter company's vessels or other countries' standards is unfounded. If AJ finds that the Service User/vessel manager does not have navigation skills required for operating a vessel, AJ reserves the right to prohibit the sail out of a vessel. In that case AJ will appoint an official skipper to join the crew and charge this service according to current price list. If the client refuses the appointed skipper, AJ has the right to forbid the sailing out of the vessel, to terminate the contract, and to keep the full amount paid for the accommodation service. The client has no right to reimbursement claims. The vessel is to be handed over to the Service User with all the valid documents (license, application form, concession...) as well as other files from the vessel's folder (list of harbor master's offices, gas stations, etc.). The Service User is bound to take particular care of all the entrusted documents and return them to AJ during check-out procedure. If AJ is fined by an authorized inspection or other authorities of the Republic of Croatia for not having complete necessary documentation aboard a vessel, AJ holds the client responsible by recourse, and the fine is to be paid from the client's deposit. The Service User is obliged to return the vessel at the appointed time, no later than 9 AM on the last day of provision of accommodation services, into the destination port defined by the contract. The vessel is to be neat and clean, with a full fuel tank, ready for setting sail, i.e. in the same condition it was in before boarding. The client is obliged to take garbage off the vessel and leave it at the designated garbage zone in the marina. 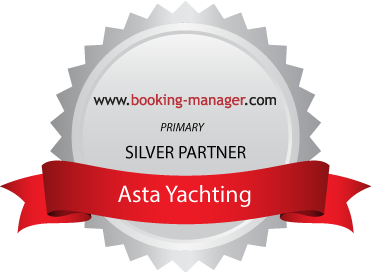 If, for whatever reason, further sailing isn't possible or exceeding the agreed return time is inevitable, the client must contact the base manager for further instructions. If the Service User exceeds the agreed return time due to bad weather conditions, the Service User shall bear all relevant costs and expenses incurred by AJ. Therefore, it is recommended to carefully plan the route, and it is required to return the vessel to marina in the evening hours of the day before the vessel handover. If the agreed return time should be exceeded, the Service User is obliged to pay double rate of daily accommodation for every day of delayed return, with a possible obligation to further compensate for losses and expenses arising for AJ. The Service User bears all costs arising from exceeding the check-out time. Exceptions to this rule are possible, but require express consent of the AJ and the Service User. If the vessel should be returned into a port not agreed upon as the destination harbor, the Service User is obliged to pay all the costs related to the transfer of the vessel to the arranged destination harbor, stipulated penalty for delay, if any, as well as compensation for any damage not covered by insurance policy which occurred during the transfer. If, for whatever reason, Service User leaves the vessel before carrying out the check-out procedure with an AJ employee, he assumes responsibility for all noted complaints and damages incurred during the use of services, as identified by AJ. At the time of disembarkment, a check of the general condition of the vessel and the equipment shall be performed, and an AJ representative will compare the found inventory and the equipment to the inventory list. Service User is obliged to report all possible defects and damage to the AJ representative. If the damage has incurred on the underwater part of the vessel, or such damage is suspected, a detailed examination of the vessel must be performed with a help from a scuba diver or a crane. The method of examination shall be decided upon by AJ, and the Service User will be charged for the cost of the procedure. When taking over the vessel, the Service User is obliged to leave a deposit according to the current price list, which is given back to the Service User if the vessel is returned undamaged and at the appointed time, provided there are no third-party claims aimed toward the Service User, and there are no fines imposed on AJ in relation to the use of the chartered vessel. If the accommodation service includes a skipper, caution money deposit is also obligatory. Service User will be charged for all costs arising from gross negligence and/or loss of one or several parts of the vessel. AJ shall retain the deposit amount corresponding to the value of the repair, acquisition and/or procurement of the equipment or an individual part of the vessel. If further provision of accommodation services aboard a vessel has been made impossible due to the damage/loss of the vessel/equipment, AJ shall retain the deposit amount corresponding to the profit lost during vessel repair. The vessel is covered by a third-party liability insurance and against the liability of the third person (compulsory insurance) and, also, comprehensive (Casco) insurance up to the registered value of the vessel (according to the insurance policy). The Casco insurance covers any damage exceeding the deposit amount, but not the damage caused intentionally or due to gross negligence (according to terms of the insurance company). AJ is not held liable for any loss and/or damage to the property of the Service User, other passengers and crew members, or to other persons’ property disposed and stored on the vessel or on AJ's premises. Having paid the required advance payment and having accepted the General Conditions, Service User waives any indemnity claims from AJ related to the loss and/or damage to his personal property and/or property of others. The personal possessions of the crew are not insured, so it is recommended for the Service User to take out a separate insurance policy for this purpose. The crew is insured. Loss or damage to personal belongings or luggage are not covered by the insurance. In case of a large scale damage during provision of accommodation services, for which the Service User doesn't have to bear the costs (normal wear and tear and/or the amount of the deposit is exceeded), he will need to get a permission (instructions) for repair from AJ or the base manager. In case of a large scale vessel accident, as well as in case of involvement of other vessels, it is necessary to report the case to the closest harbor master’s office and run a protocol (the course of events, determination of damages) for the insurance company, as well as to inform AJ about the accident. If the Service User doesn't carry out all these obligations, he may be charged for all damages incurred. The sails are not insured so the Service User bears all costs of sails damage in full amount. Engine damage resulting from the lack of oil in the engine is also not covered by insurance. Service User is obliged to check the engine oil. The user can't hold AJ legally liable for any consequences arising from user's fault or negligence which could create AJ's liability to third parties. Also, in that case AJ shall not bear any legal costs, whether at home or abroad. provide AJ with a crew list containing full names, birth dates and birth places, nationality, type and number of a valid identification document, and the skipper's boat leader license number, not later than 1 week before the beginning of accommodation service. own a valid passport. The cost of any document loss and theft during the voyage shall be borne by the Service User. study the printed material available on the vessel. conscientiously and carefully handle the vessel, the inventory and the equipment and keep a logbook, and in particular that he will not steer the vessel under the influence of alcohol or narcotics, behaving responsibly in every respect. sail within the borders of the territorial waters of the Republic of Croatia. Leaving the territorial sea of the Republic of Croatia is possible exclusively with the previous written consent of AJ. sail only in safe weather conditions and good visibility, avoiding clearly dangerous areas, sailing by night is not recommended. adjust the sail to atmospheric circumstances and crew abilities, and not allow unnecessary burdening of masts, sails and ropes. not leave the port or anchorage in case the vessel or one of its parts vital for the safe sail is out of order. not leave the port if port authorities have prohibited sailing, i.e. issued a ban on departures from the port, or in case of insufficient fuel supplies. not use the vessel for commercial purposes (transport of goods or people for compensation), professional fishing, sailing school or similar activities. not sublease the vessel or lend the boat to a third party. not board more people than the vessel is registered for, and not allow people not stated on the crew list to stay aboard. not participate in regattas or vessel races without previous consent from AJ. not tow another boat and to take all possible precautions to avoid a situation which would require towing of the vessel. agree that the contract for provision of accommodation services is to be terminated in case it is determined that any of the crew members has broken a valid regulation and/or law of the Republic of Croatia, and that in such case the vessel is to be at AJ's disposal, with Service User having no right to compensation. On a separate note, it is determined that AJ free from any liability to state authorities; Service User is solely liable to state authorities for violations and/or crimes committed. assume responsibility and compensate all costs to AJ, for which it is established that they were caused by actions or omissions on the part of the Service User, and for which AJ is materially and criminally liable to a third party. Service User's liability for violations of sailing and other regulations, which were committed during the accommodation service, does not cease with the end of the accommodation service (until the case is closed). in case of a large scale damage of the vessel, accident or brakeage, record the course of events, immediately notify AJ, file a maritime disaster report to the closest harbor master’s office, and demand a verification for that event from the harbour master, a doctor or other competent authority. notify AJ immediately in case of any defect of the vessel or its equipment incurred by normal wear and tear. AJ is obliged to repair the defect within 24 hours from the receipt of the notification. In case AJ repairs the defect within that deadline, the Service User has no right to compensation. Emergency telephone numbers for defect notification can be found in the vessel documentation. if the damages that the vessel needs to be repaired for in a harbor are caused by the Service User, he has no right to a monetary or any other compensation for the period of accommodation services wasted due to repair. In case the damages were not caused by the Service User, he is entitled to a proportional compensation (the pro-rata basis). No other type of compensation is possible. if there is reasonable doubt that the underwater part of the vessel has been damaged, the vessel needs to be taken to the closest port to perform an underwater examination, and take the vessel out of the water if necessary. All costs are borne by the Service User. fully compensate AJ for any damage caused by Service User's negligence or omission which is not covered by the insurance, and for which AJ is responsible to a third party. in case of disappearance of the vessel and its equipment, inability of sailing, confiscation or impounding of the vessel, or sailing prohibition by the state authorities or a third party, Service User must immediately notify competent authorities and AJ, and demand a copy of the police report. assume full and sole responsibility in case of impounding of the vessel by competent authorities, due to improper or illegal actions (commercial fishing, removal of antiquities from the seabed...) undertaken during the use of the vessel. be fully responsible for sea contamination during the filling of fuel tanks or dropping garbage and waste outside designated places. check the oil level in the engine every day. Service User is liable for damages and losses caused by an insufficient amount of oil in the engine. take pets (dogs, cats, birds...) aboard a vessel only with a previous permission from AJ. No pets are allowed on board, unless previously agreed with AJ. If a pet is allowed on board, Service User bears the additional cost of cleaning according to the current price list. Service User assumes sole substantive and criminal liability for any breach of the obligations undertaken hereunder. Every Service User has the right to a complaint, if he considers AJ's services to be incomplete and/or of low quality. Service User may demand a proportional reimbursement, but only if a written complaint is lodged upon check-out with all necessary documentation enclosed. A written complaint must be submitted no later than check-out and signed by both parties - by the Service User and by an AJ representative; otherwise, Service User will no longer have the right to a complaint regarding the service. Any complaints received subsequently and with incomplete documentation shall not be taken into consideration by AJ. AJ is obliged to provide a written reply to the received complaint within 14 days after the receipt. AJ has the right to postpone the reply for additional 14 days if gathering information and checking the complaint claims with the people directly or indirectly involved is needed. The maximum amount of compensation per complaint can amount to the objected part of the service and can not include services which were already used, or the total accommodation service price. Service User's right to non-material damage compensation is hereby excluded, provided that it was not caused with AJ's intent. AJ cannot be held responsible for eventual bad weather conditions, sea water quality and temperature, marina cleanliness, crowded destination ports, and all similar situations and events that could lead to Service User's dissatisfaction, and are not directly related to the quality of the booked service. In case the Service User is not satisfied with AJ's decision, and is not able to come to a peaceful and consensual agreement with AJ, he has the right to take legal action. All eventual disputes that are not peacefully resolved will fall under the jurisdiction of the appropriate court in Zadar. These Conditions are governed by and construed in accordance with the laws of the Republic of Croatia. Amendments (modifications and additions) to these General Conditions are valid only in written form and upon mutual agreement of both parties. Service User shares his personal data by his own free will. Service User's personal data is necessary for the process of realization of the service required. The data will be used for further communication between the parties. AJ is obliged not to distribute Service User's personal data outside of national borders, or forward it to a third party, except for the purpose of providing the requested service. The exception to distributing personal data to third persons is taking out cancellation insurance, accident and illness insurance, baggage damage or loss insurance and voluntary health insurance for the duration of the trip and staying abroad. If Service User takes out an insurance policy, personal data will be forwarded to the appropriate insurance company. User's personal data will be stored in a data base, according to management's decision on the method of collecting, processing and storing of personal data. By accepting these General Conditions, Service User agrees that his personal data may be used for AJ's promotional activities.